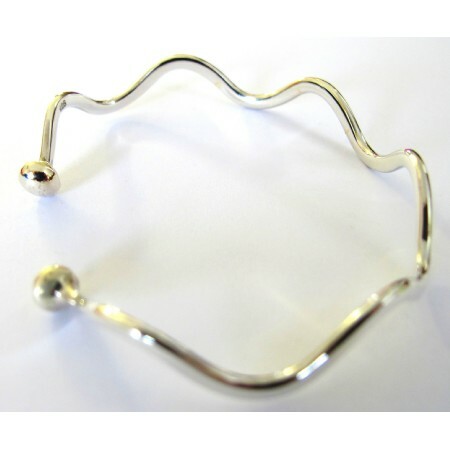 This is a terrific & incredible Sterling Silver Curve Bangle Cuff bracelet Style handmade bangle. This bracelet is made of 92.5 sterling silver with stamped 92.5 for the originality. This sterling silver bangle cuff bracelet is a great piece to wear. Everyone will comment. Length : Felexible Bangle Cuff BraceletType: Bangle Cuff Bracelet.